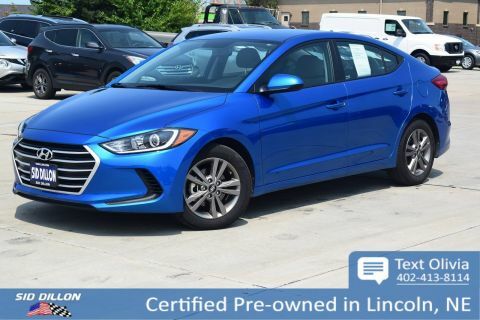 Come see this 2017 Hyundai Elantra Limited while we still have it in stock! 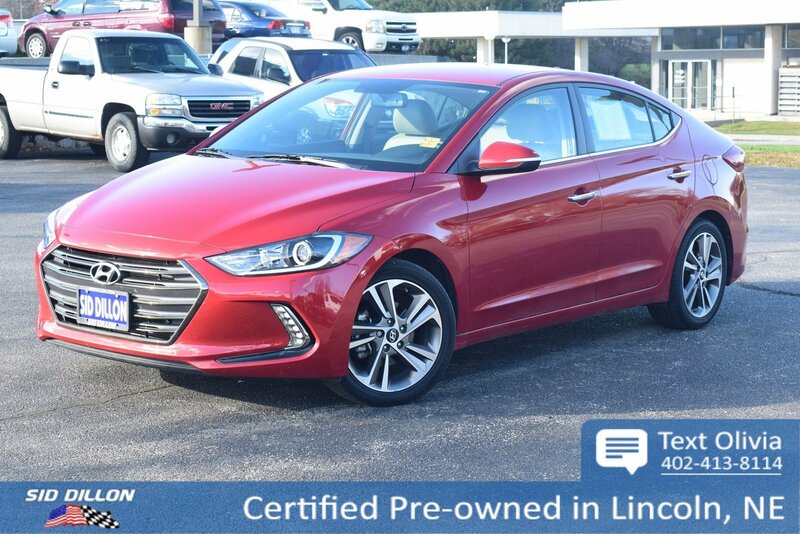 WHEEL LOCKS, SCARLET RED, REAR BUMPER APPLIQUE, CARPETED FLOOR MATS, CARGO NET, BEIGE, LEATHER SEATING SURFACES, AUTO-DIMMING MIRROR W/HOMELINK & BLUE LINK, Window Grid Antenna, Wheels: 17 Alloy, Variable Intermittent Wipers. 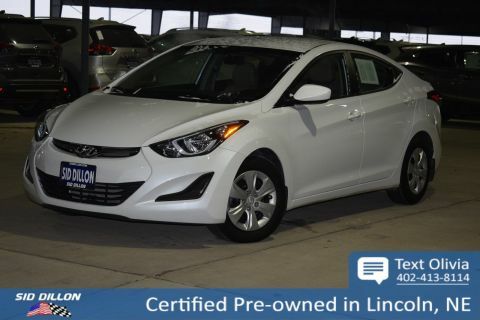 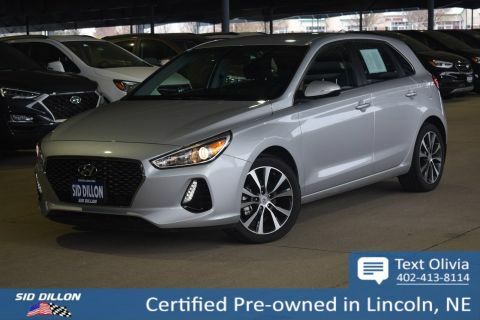 A short visit to Sid Dillon BNH Lincoln located at 2627 Kendra Ln, Lincoln, NE 68512 can get you a tried-and-true Elantra today!